Protects the toothbrush during travel and turns into a stand at the destination. 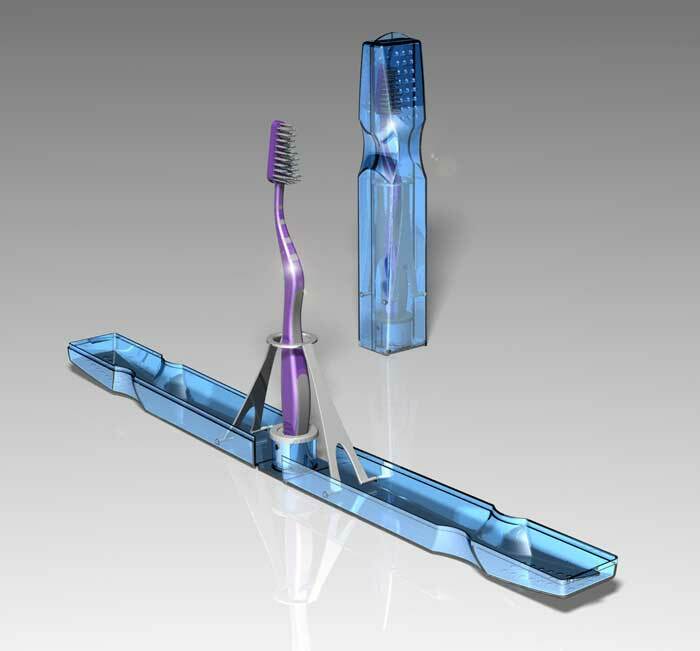 February 28, 2011 | Filed under Industrial Design, Slideshow and tagged with injection molded, plastic, Travel. Is the toothbrush case available in a retail outlet? The design of product is good , what material does the main part of product use? Polystyrene? How/where can I buy this? Norway. Sadly this is no longer on the market. Sorry.